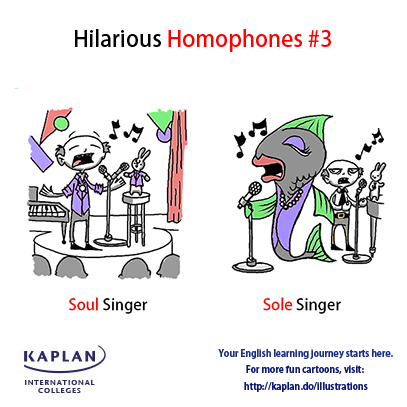 The words soul and sole both sound the same but they have different meanings. Soul in this context refers to soul music, which is a style of popular music, combining elements of gospel and rhythm and blues. Sole on the other-hand is a European flatfish. Our fun illustration explains the difference!